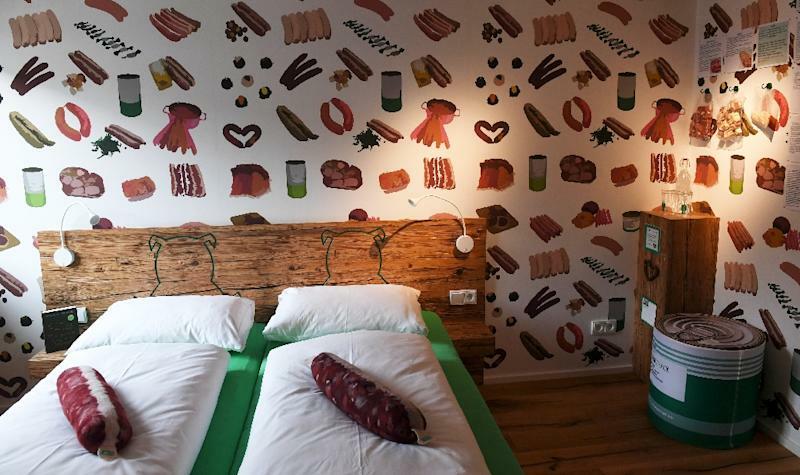 Georgensgmünd (Germany) (AFP) - Sausages on the menu, sausage motifs on the wallpaper, sausage mobiles hanging from the ceiling -- and to top it off, a sausage-shaped pillow on your bed. 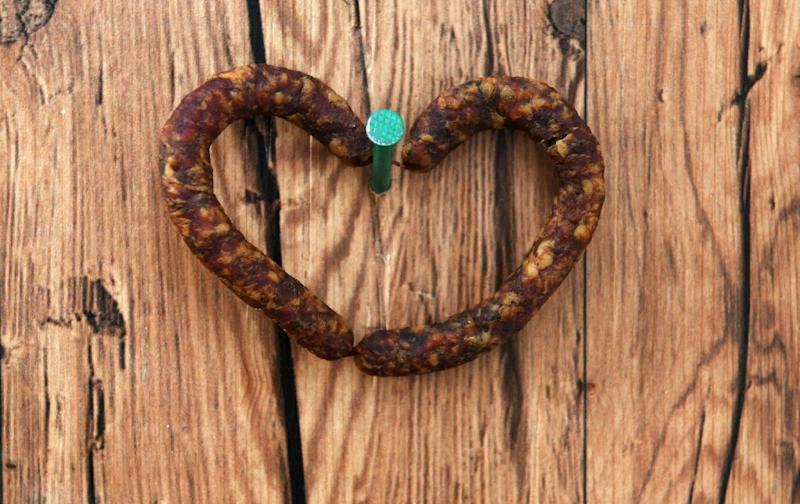 Behind the quirky initiative is a Hail Mary bid to keep alive the local butcher's shop -- an institution in most towns that was once a pillar of Germany's "Mittelstand" economy of small and medium-sized businesses -- in the face of big-box store competition and slacking meat consumption. Boebel's bright green delivery car -- matching the hotel's wooden window shutters and the striking facade of the butcher's shop -- zips through the village's narrow roads as a "Wurst taxi" bringing meat to hungry customers. But the hotel, in which he's invested some 700,000 euros ($800,000) in the renovation, takes things to another level. 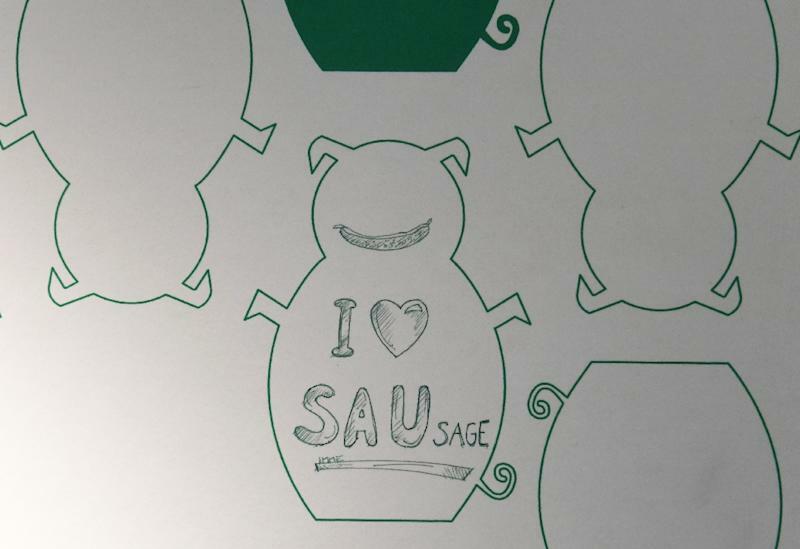 In the narrow lobby of the hotel, the word "sausage" is emblazoned on the wall in the languages of the world including Russian (kolbasa), Japanese (soseji) and Greek (loukaniko). The number of German butcher's shops has tumbled in recent years to just over 12,300 in 2017, with 1,100 folding that year alone, according to industry data. "You have a lot of small villages with so much history -- palaces and castles and beautiful landscapes, plus the regional cuisine," he said. "I'll go back to Nigeria knowing how to make sausage -- danke Boebels!!" she wrote in the guest book. "It's made our little village famous -- people come from around the world," said Stephanie Volker, 30, a local chemist who stopped into the butcher's shop at lunchtime.